A scheme that helps people with long-term health conditions or disabilities get back into work has been hailed a huge success after over 80 new businesses were set up over the last three years. 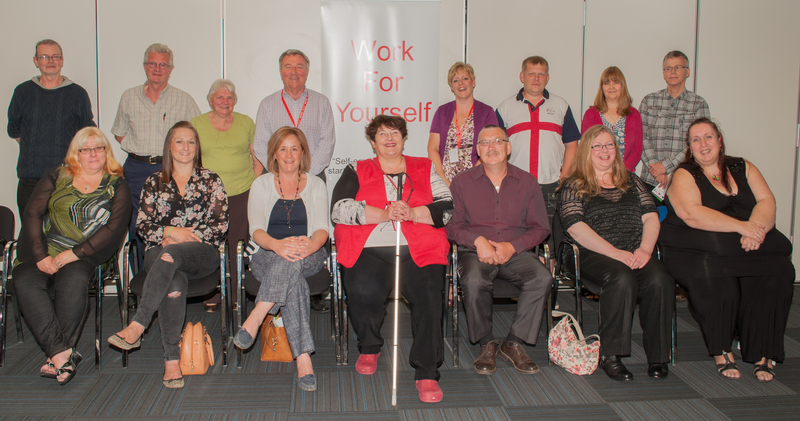 The specialist ‘Work for Yourself’ programme exceeded all its targets and supported many people to happier and more fulfilled lives. Funded by the European Regional Development Fund, Bolsover District and Chesterfield Borough Councils, the project has helped many businesses to become established and seen a 70% sustainability rate over the last 12-months. 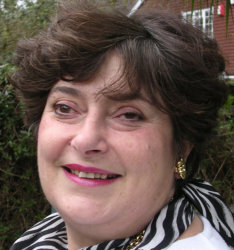 Freelance writer Leonie Martin described how she has already had three books published alongside articles in local and specialist media despite her multiple sclerosis. Noreen Maynard gave a demonstration of the Emotional Freedom Technique therapy she offers and Trevor Johnson was hugely enthusiastic about the ‘spider web’ climbing frame he had constructed with his recycled safety nets. Working can still be a struggle with a health condition but Davina Bates continues with her knitting even when she has to stay in bed and her ‘reborn dolls’ are selling well. Overall, her sales are already four times her original forecast. Award-winning David Harding is pursuing new contracts and will be featured in the next series of the BBC’s ‘Saints and Scroungers’ due for broadcast in October. The new businesses have resulted in many new full and part-time jobs and are increasingly contributing to the local economy. Although some of the project’s participants decided that self-employment wasn’t for them, nearly 50 have gone on to get jobs or moved in to training. Bolsover District Council’s Leader, Councillor Ann Syrett said, “We were very proud to host the celebration and are delighted so many people have benefitted from the scheme. We have been leaders in offering this alternative work opportunity and it has paid real dividends for our communities. Councillor John Burrows, Chesterfield Borough Council’s leader and cabinet member for regeneration, said: “Having a disability or long term health problem should not prevent people from having the opportunity of a fulfilling and productive career. Amongst 326 English local authority areas, Bolsover district has the fourth highest level of disabled people and Chesterfield Borough is not far behind, and both areas fall below the national level of self-employed disabled people, this project has made a strong contribution to improving their prospects. You can read more about other businesses helped by the programme at www.businessability.co.uk.